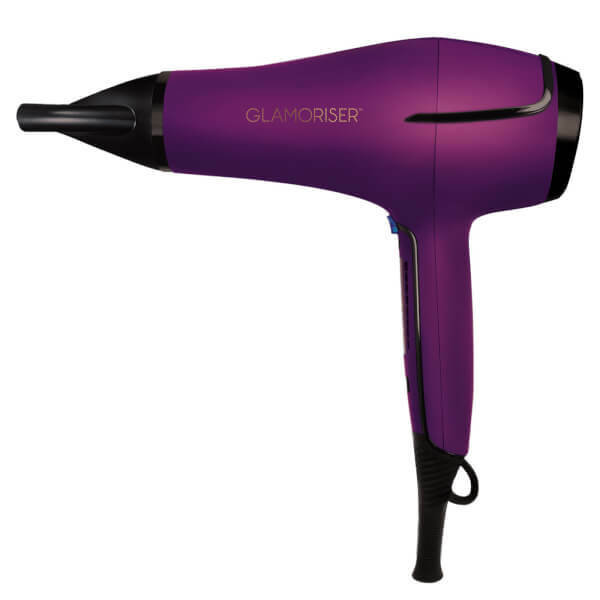 Achieve a professional, salon-fresh blow-dry with Glamoriser Salon Results Touch Hair Dryer. Effortlessly drying your hair whilst staving off frizz and flyaways, the hairdryer utilises lightweight technology for fast drying results, and a Black Diamond Oil Shine System to promote shiny, smooth and sleek-looking locks. The innovative hairdryer is programmed with eight heat and six speed settings for customised control, and has advanced touch panel technology for easy setting selection. Hair is left smooth, glossy and frizz-free.